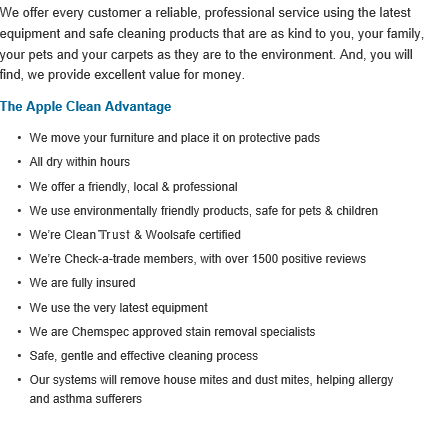 For carpet, curtain and upholstery cleaning in Southampton, Apple Clean are the local experts. 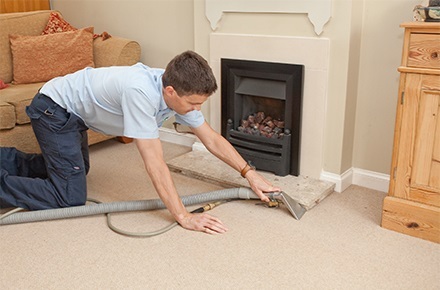 We have 25+ years’ experience of providing professional curtain cleaning, carpet cleaning and upholstery cleaning services to both homes and businesses. Whether you’re looking for in-situ curtain or upholstery cleaning or effective stain removal in the Southampton area, contact Apple Clean for a first class service and amazing cleaning results. Hello, I’m Jonathan and I’ve been supplying carpet cleaning, curtain cleaning and a wide range of other specialist cleaning services to domestic and commercial customers in and around Southampton for more than 25 years. I have always believed that the only way to succeed with a local business is to provide the best possible professional service, giving personal attention and great customer service while achieving excellent cleaning results every time. Call me today for honest and realistic advice concerning any cleaning requirement you may have, and to obtain an instant no-obligation quotation. 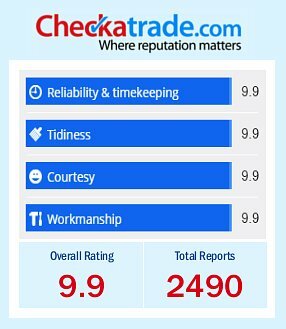 Apple Clean is a proud member of the Checkatrade scheme, which enables you to view genuine, certified reviews from past customers in the Southampton area. We also encourage all our customers to leave their own feedback about their experience with Apple Clean. To date, we have received more than 2600 reviews and have an average score of 9.89 out of 10! Why not call us today on 0800 587 4571 and find out more about the cleaning services we provide to residential addresses and commercial premises in Southampton and beyond? For the best quality curtain cleaning, upholstery and carpet cleaning services in the Southampton area, Apple Clean should be your first port of call. We have a solid track record of providing professional cleaning services all over Hampshire and are always on hand to give expert help and guidance on any cleaning requirements you may have for carpets, fabrics and soft furnishings. In addition, we can help with specialist cleaning services such as rug cleaning, leather cleaning, stain removal and Scotchgard protection. Serving both homes and businesses across Hampshire, there’s no such thing as a job that’s too small or too big at Apple Clean! Whether you’re looking after your carpets, curtains or upholstery, professional cleaning should be carried out on a regular basis. 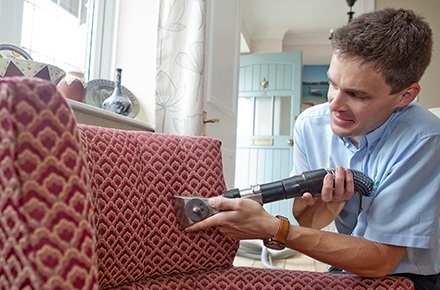 However much you may be tempted to do the job yourself, treating the general build-up of dirt or specific stains on fabrics or upholstery should be done by professionals. What if you use the wrong cleaning agent or method and end up damaging your carpets, curtains or fabrics? Rather than saving yourself a few pennies, you may be in for costly repair or replacement. A professional cleaning company is always the safer and more convenient solution. At Apple Clean, our trained operatives use the latest high tech cleaning equipment to deliver fantastic cleaning results every time. We can provide safe and effective treatments for in-situ curtain cleaning, carpet cleaning and upholstery cleaning that will prolong the lifespan of your soft furnishings. Why not give us a call today to discuss you cleaning needs?